No need to heat up the oven or fire up the grill for this recipe. My Skillet Teriyaki Thighs are so delicious. 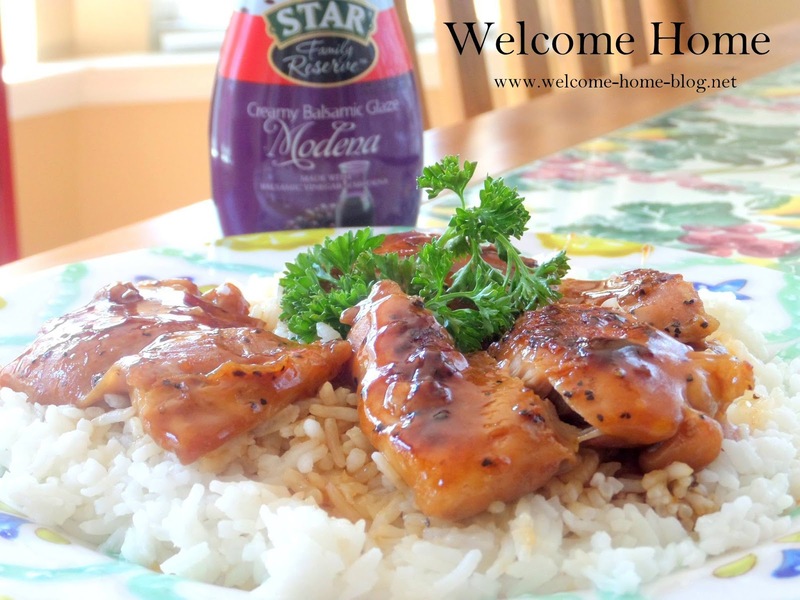 I made this incredible sauce with Star Fine Foods Modena Creamy Balsamic Vinegar Glaze which gives it so much flavor! 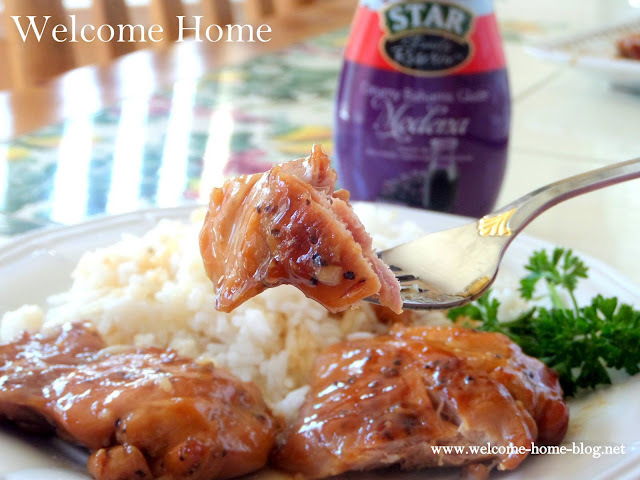 Tender chicken thighs with a delicious sticky glaze served over sticky rice. Oh Yum! In a large Ziploc bag, whisk together the balsamic vinegar, soy sauce, honey, olive oil, minced garlic, chopped scallions and salt. Add the chicken, seal the bag, and then carefully move the chicken around in the bag until it's thoroughly coated. 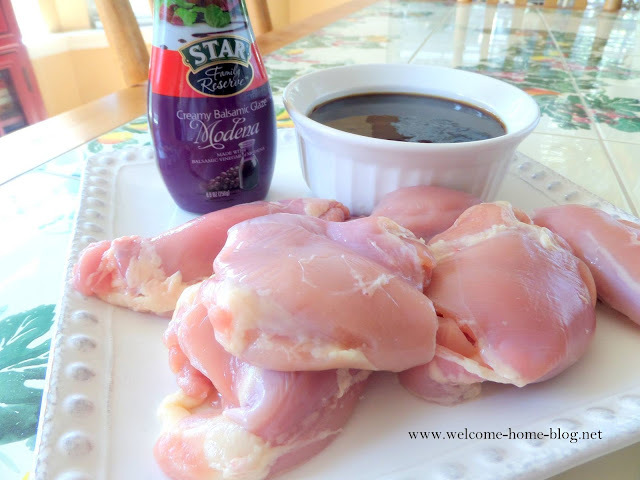 Place the chicken in the fridge to marinate overnight or for a minimum of 2 hours. 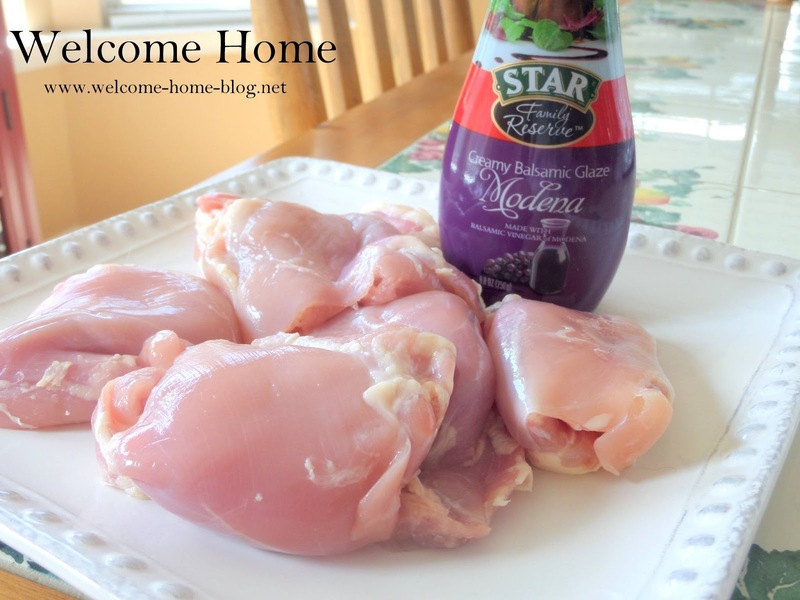 Remove the chicken from the bag and shake off excess marinade. Reserve the marinade for later. In a large non-stick skillet, add 2 tablespoons Star Fine Foods Extra Virgin Olive oil and two tablespoons of butter and heat over medium high heat. Sear chicken on all sides until nicely browned and caramelized. Cover skillet and turn the heat down to medium and cook for about 25 minutes or until thighs are done. Chicken should reach a temperature of 165 degrees. When done, remove from heat and set aside. 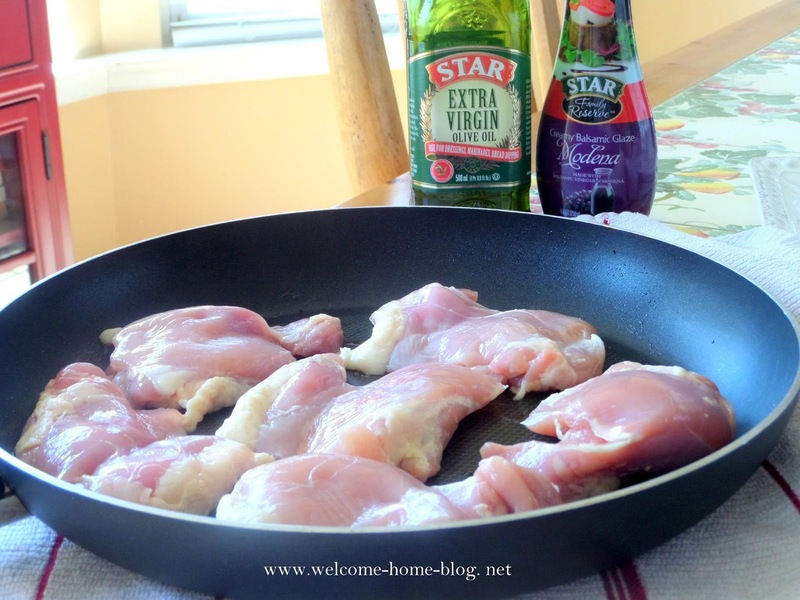 Transfer the marinade to a saucepan. Whisk in cornstarch and two tablespoons water. Turn heat to medium high and bring sauce to a low boil until sauce begins to thicken and look like syrup. You want to stir frequently to make sure it doesn't burn. Remove from heat and set aside. 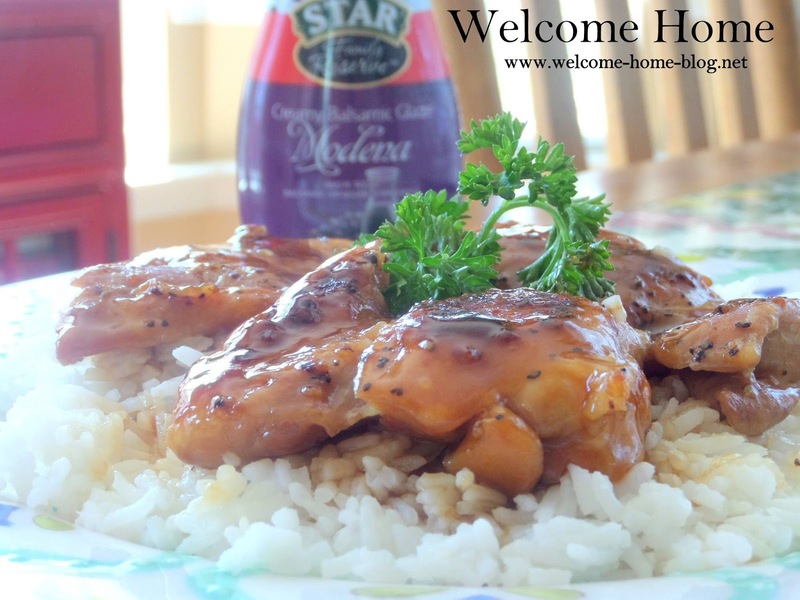 Pour or brush sauce over chicken and serve over fluffy rice. Enjoy!